Welcome back all those who have visited the site in the last two years. Early in the season updates may be infrequent, so don't complain too much about the number being a few off. But as things heat up, we'll be updating at every number drop. The staff here plans to be in the chat box for many games and I plan on being in there for the whole opening game and I'm sure the regulars will be there too (shortkidd, John, J.Child, PlayoffBound, i heart soto, Cubs Fan Stuck in NYC, kes601, CUBZ Fan, i heart soto, joooosh, steph, FL Cub and the others I likely missed). 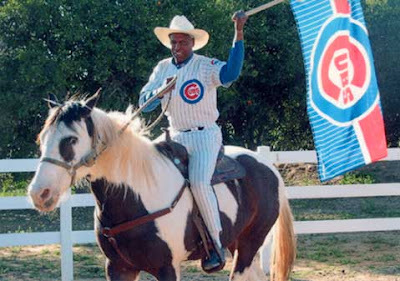 If you have any suggestions or comments, please send them to us at 2009@cubsmagicnumber.com. As always, sending in Cubs related pics with a good story may land that photo on this site. We look forward to hearing from you both in the chat box and via comments and email. One last comment, what the heck is Zambrano thinking saying that Wrigley Field needs replacement? I think he needs to worry about pitching instead of commenting on the digs.